Whether it is a game-watching party, extended family for the holidays, a baby shower, or other celebration, opening your home to a large group can be fun if you let it. A home brimming with the energy of a large group is a rare gift to be enjoyed, if you know how to do it right. Planning for large groups brings with it certain hospitality challenges that require extra consideration. Each idea I share below is meant to set you up to enjoy your guests and the occasion as much as possible…. Cakes are my favorite way to celebrate an occasion, and yet, there is something a little unnerving about looking at a beautiful cake and wondering how to slice it successfully. In most situations, with small to average-sized cakes, the task requires little more than the bravery to just go for it. A sharp knife, plates lined up and waiting, and a dose of confidence will get you to the finish line. Small to mid-sized cakes are best served in wedges. But when you have a large cake (10-inches or more), you need a different strategy…. Today I am kicking off a series of four blog posts called Desserts 101. Over the next four weeks we will look at my favorite ways to select, slice, serve, store desserts! My goal is to equip you with practical tools and reminders when it comes to anything related to desserts. None of this information is set in stone, but the information does come from years of working with desserts and discovering a few helpful hints along the way. Let's begin today with how to select desserts! 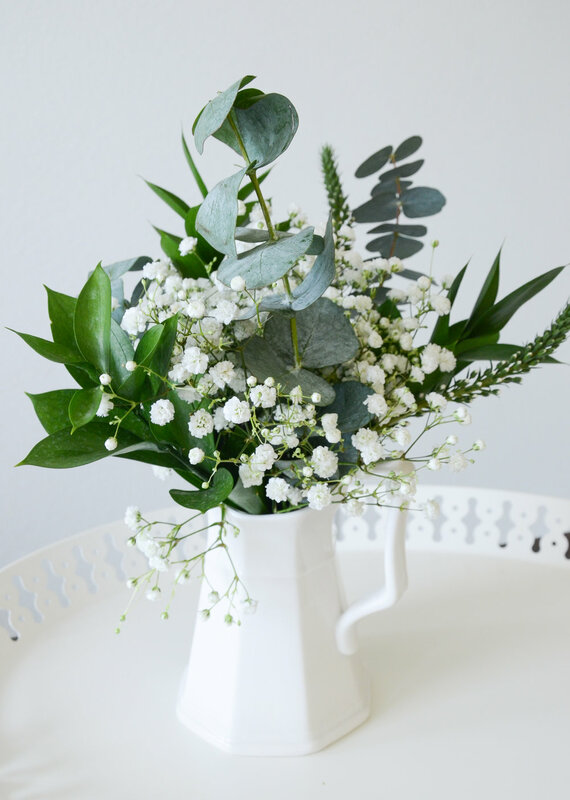 Maybe it seems like a silly question, but have you ever stopped to ask yourself why we go to the trouble to arrange flowers in the first place? Is it because having flowers is just part of "what you do" when hosting? Is it because we want to impress our guests with stunning arrangments? We have discussed a philosophy of flowers and looked at different containers. Now the fun begins! Let's arrange some flowers! Rachel is a member of our family, but not in the biological sense. Our four children consider her their older sister. My husband considers Rachel a daughter. And I consider her the perfect combination of a little sister and best friend. The first step in arranging flowers is the choose a container. In some regards, the container you choose for your flowers is almost more important than the flowers themselves. Today I am launching a series of blog posts about flowers! 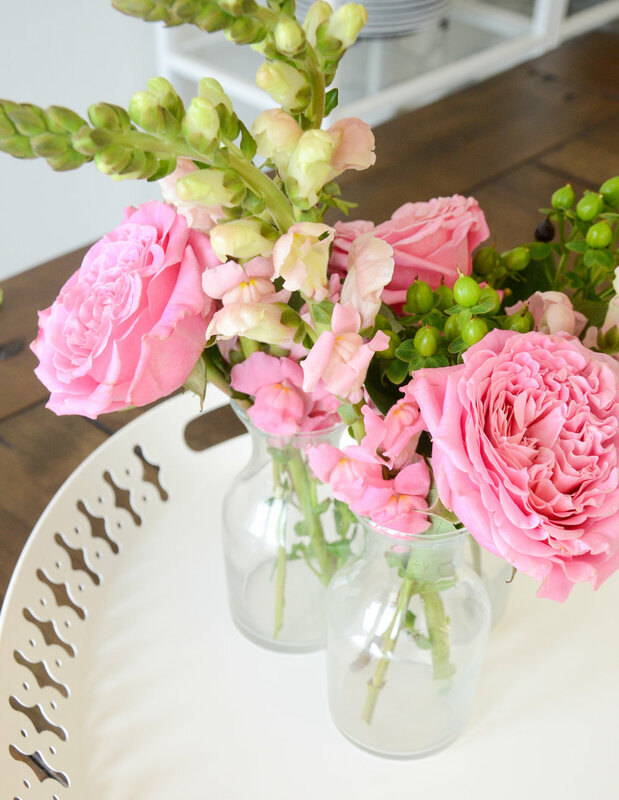 I will share how I think about flowers, how I arrange flowers, how I choose a container for flowers, and why I even bother with flowers in the first place. 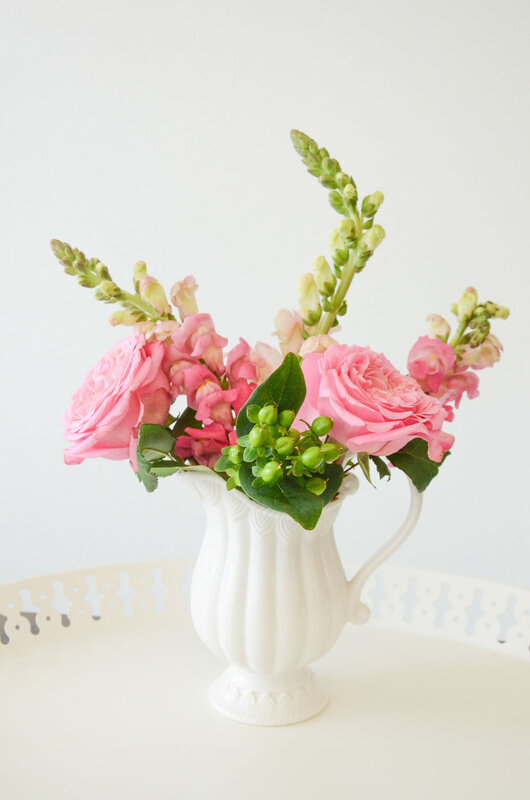 When it comes to flowers, there are a few things worth mentioning as it relates to my approach.